Doug Malewicki has done lots of cool, weird, awesome stuff. He built the Robosaurus. He invented the Malewicki equations for model rocket flight projections. He has worked on the Apollo moon lander, stealth bomber, and DARPA UAVs. He was the inventor of Nuclear War...well not actual worldwide thermonuclear annihilation, but a board game under the same name. The subject of today's feature is Porsche 914 that he purchased new in 1972 and has driven for 431k miles, given it 3 paint jobs, and has 40 years of receipts detailing everything about the car. 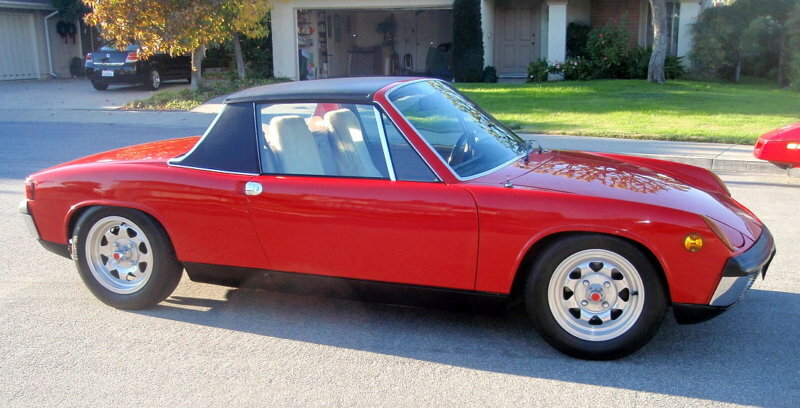 Find this 1972 Porsche 914 1.7L for sale in Irvine, CA currently bidding on ebay for $4,300 with 4 days to go. We saw the ad on ebay and were so impressed that we contacted Mr Malewicki directly and are using some of his photos with his permission. This article was also republished on the front page of Jalopnik.com via our kinja acct. Dos Equis has a rather funny series of ads featuring a bearded and swarthy Johnathan Goldsmith as The Most Interesting Man in the World, but his fabricated stories pale in comparison to the actual stuff Mr Malewicki has accomplished during his first 74 years on this planet. 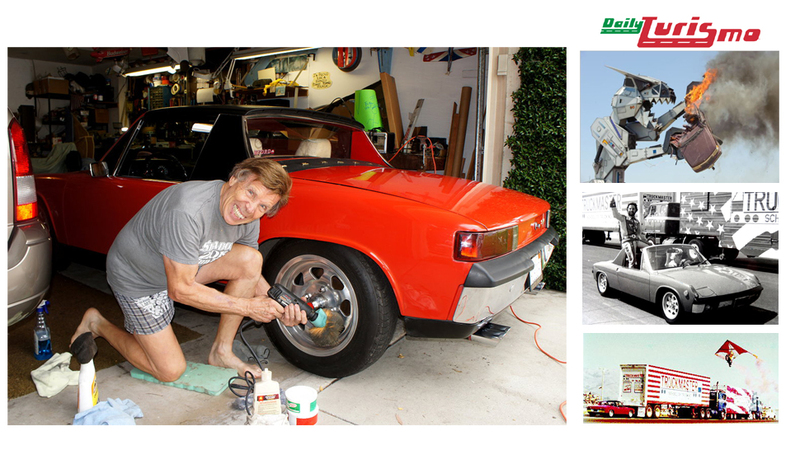 As thoroughly detailed on his website, canosoarus.com, Doug has done all sorts of engineering experiments starting with the previously mentioned car-crunching, fire-breathing Robosaurus, a kitecycle record holding motorcycle distance jumper, all the way to a 155 MPG commuter car that bears a striking resemblance to Luke Skywalker's landspeeder. Throughout these crazy years, one simple constant has been there all these years to support him...his 1972 Porsche 914. At first glance this 914 looks like it might be some low mile, garage queen, but this isn't the case, as fully documented in a huge and comprehensive writeup, this little mid-engine runabout has 431k miles on the odometer and been repainted 3 times. This last coat was applied in 1988 and has recently been given a thorough wet-sanding and buffing and looks spiffy in the pics. This 914 is equipped with the 1.7 liter aircooled flat-four that would have put out 80 horsepower when new. 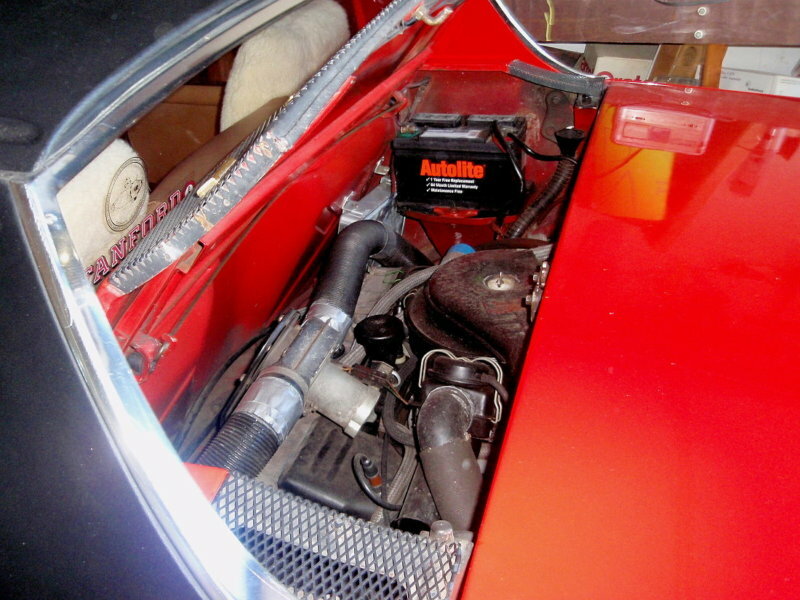 It has been rebuilt 3 times, the last time was 39k miles ago, and in a refreshingly honest comment, Doug mentions that although he thinks the car still feels zippy, his mechanic says the engine is getting tired and needs a rebuild. At time of posting bidding is just shy of $5k, but we give this car a $10k badge because we think the stories from the owner will push some late minute bidding up even though it is equipped with the 1.7 liter engine. Cool car, best owner story. I had a 914 back in the day, but I sold it when I needed something bigger. Great little cars. Cool car, but even cooler guy! ~ interesting to put a face with the inventor of Robosaurus and Matt Groenong's inspiration for 'Bart the Stuntman' (Simpsons s2e8). i't would be fun to own the car jut for the chance to have a burger and a beer with Doug Malewicki. 431,000 miles sounds like quite a few for a 914 that looks this nice, but given this gentleman's many talents it shouldn't cause hesitation.